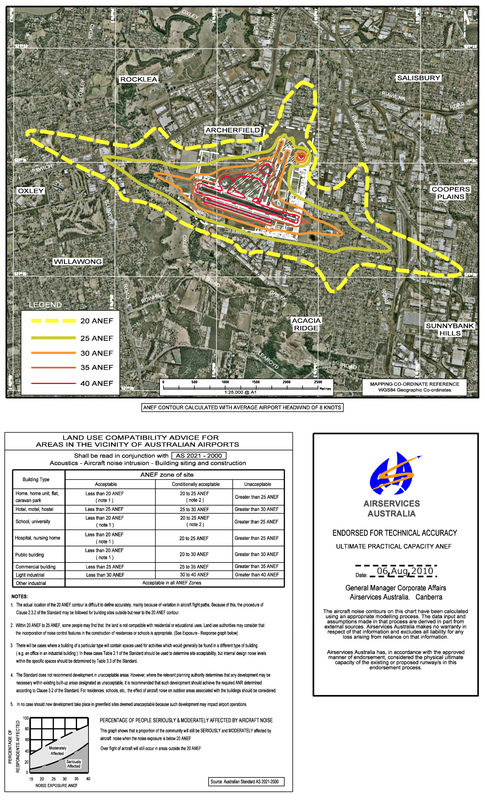 When considering developments or activities (within a 15 kilometre radius) in the vicinity of the airport, Archerfield Airport Corporation (AAC), as the airport operator, encourages you to review the list below and the accompanying information located here to determine whether your proposal is likely to have an adverse impact on airport operations and future airport development. The types of development or proposed activities in the list below could be an issue in relation to the continued safe and efficient operation of Archerfield Airport. Will your proposed development or activity involve? - To view the Obstacle Limitation Surface of Archerfield Airport, please click here. - To view the latest Airservices Australia endorsed Australian Noise Exposure Forecast (ANEF) for Archerfield Airport, please click here. If you are uncertain about the likely impacts of your proposal, we would welcome an opportunity to discuss it with you if there are issues to be resolved. Please contact us on (07) 3275 8000.